Tags: cartoon, cartooning, comic, drawing, fan art, hillbilly, illustrations, John Trabbic, PGBC, Pig Goat Banana Cricket | Permalink. 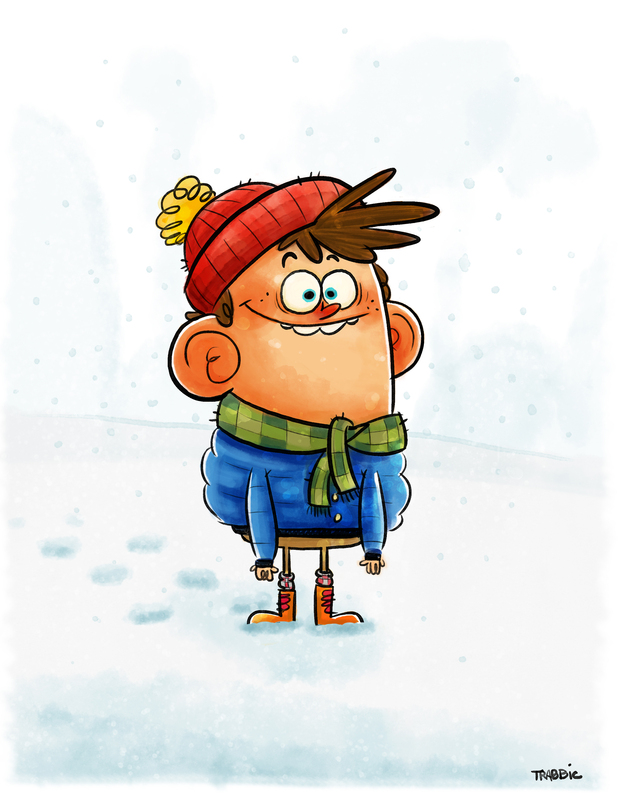 Tags: artwork, cartoon, cartooning, Cartoonist, christmas, illustration, illustrations, John Trabbic, John Trabbic III, kid, Silly illustration, snowsuit, Snowy, winter, winter wonderland | Permalink. Tags: animation, art, artwork, cartoon, cartooning, Cartoonist, cheeseburgers, doodles, drawing, Fanart, Fart, funny, gif, hillbilly, illustration, illustrations, John Trabbic, Silly illustration, Spongebob, Spongebob Square Pants | Permalink. 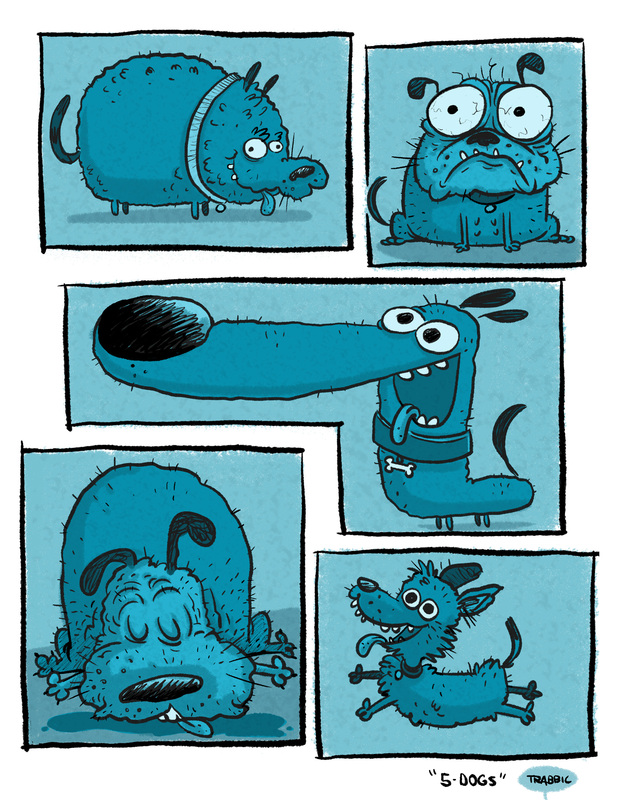 Tags: art, artwork, cartoon, cartooning, Cartoonist, cheeseburgers, Coffee, comic, derp, derpy, Doggy doodles, dogs, doodles, drawing, funny, hillbilly, illustration, illustrations, John Trabbic, Puppys | Permalink. 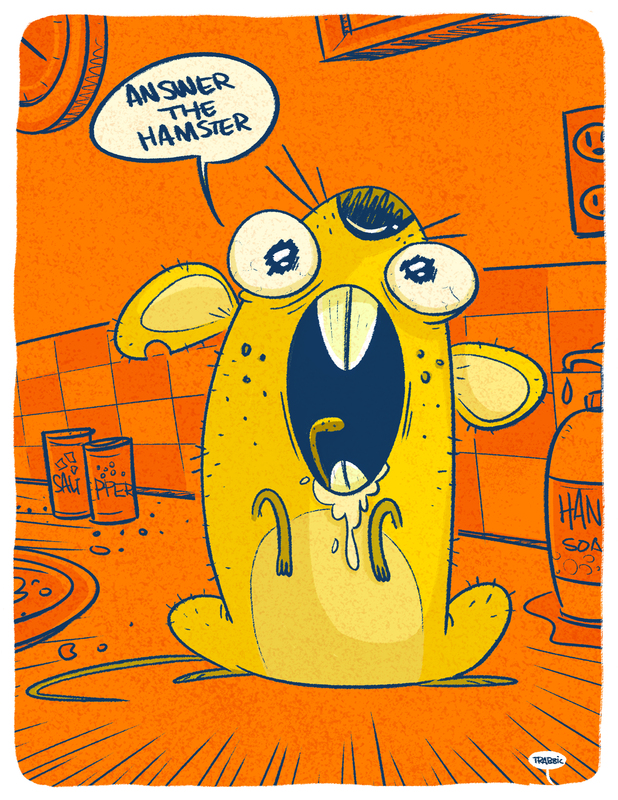 Tags: Answer the Hamster, art, artwork, cartoon, cartooning, Cartoonist, comic, derp, derpy, doodles, drawing, funny, Hamster, illustration, illustrations, John Trabbic, John Trabbic III | Permalink. 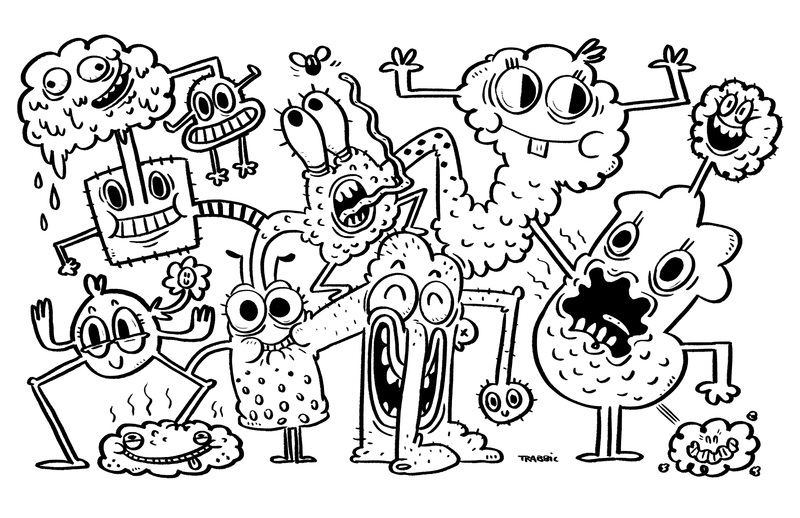 Tags: art, artwork, Bonkers, cartoon, cartooning, derp, derpy, Digital Art, doodles, drawing, funny, illustration, illustrations, John Trabbic, John Trabbic III, strange illustration | Permalink. 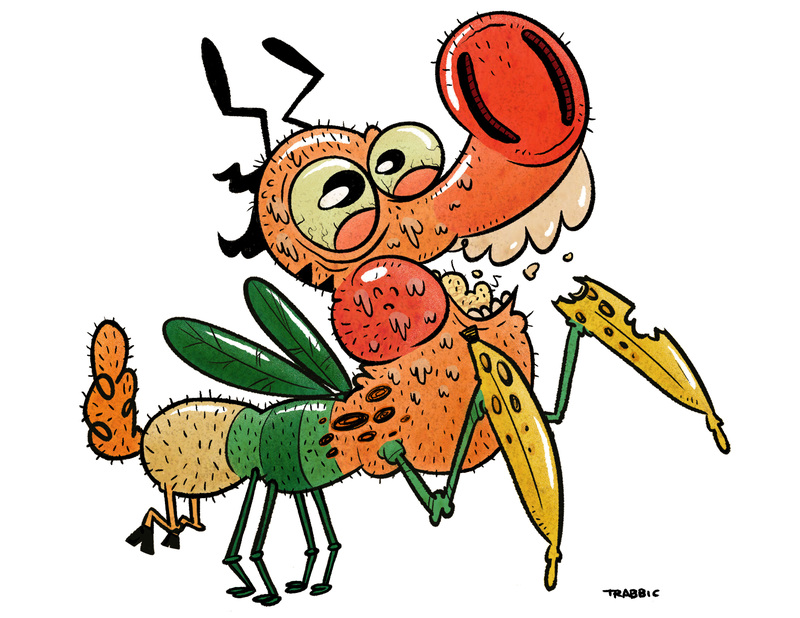 If you mashed all the characters for Pig Goat Banana Cricket and put them in a blender… this is what up get! PIG-N-STIEN! Tags: animation, artwork, cartoon, cartooning, Cartoonist, Concept Art, derp, derpy, illustration, illustrations, John Trabbic, John Trabbic III, PGBC, Pig Goat Banana Cricket, strange illustration | Permalink.